What is the Travel MBA Program? Want to make money selling travel? Do you love travel but never thought about turning it into a career? Now you can. This program is the Complete Travel Business Implementation plan to confidentally design your travel business. 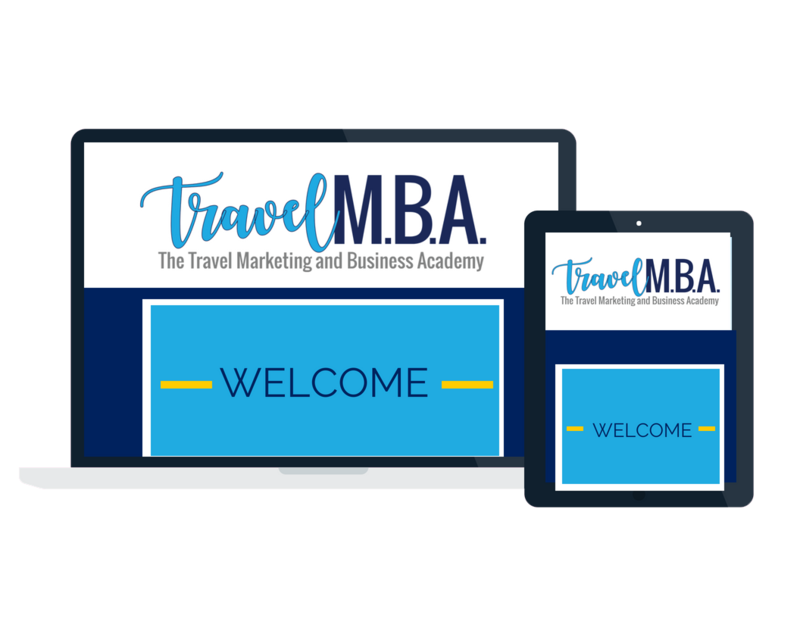 Why the Travel Marketing and Business Academy? We have developed a very clear sequence to building your business and have found that when people don’t follow this sequence they get very confused, have no clear goals, and end up owning an expensive hobby instead of a successful business. 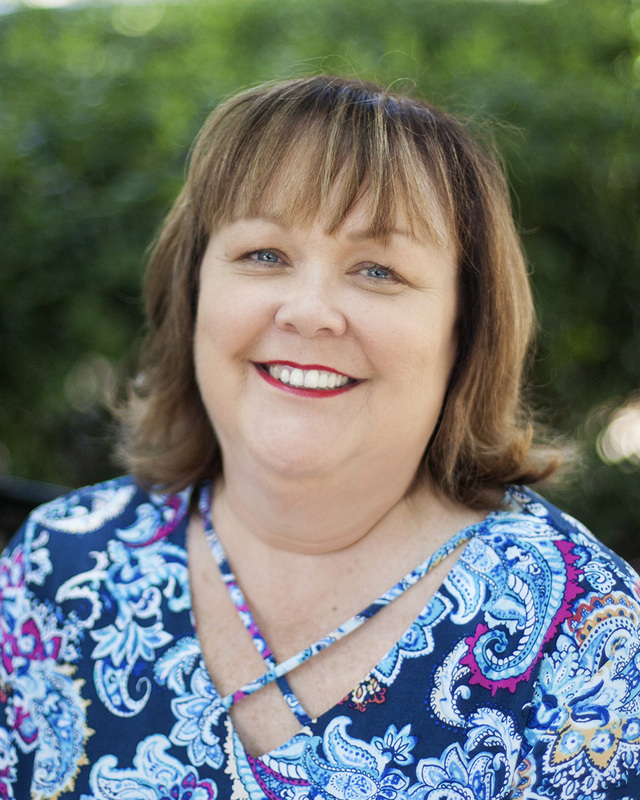 Travel MBA Mentor, Lisa Fletcher, is a travel industry veteran with over 30 years of industry experience ranging from marketing for American Express Hawaii Vacations to owning her own successful home based travel company. Lisa has served as Travel MBA Mentor since the program began, and her students frequently cite her as the most valuable aspect of the program. As your Travel MBA Mentor, Lisa will guide you through every step of the journey - from researching your first trip request, to making your first booking, to answering every question you have along the way. You don't have to worry about knowing it all, because you have an experienced mentor who you can ask for help. Throughout the Travel MBA program, you will have access to Lisa's mentoring through weekly group coaching calls and email. Lisa also hosts monthly live classes exclusively for Travel MBA students. Meredith Hill is founder and CEO of Gifted Travel Network (GTN), and the Global Institute For Travel Entrepreneurs (GIFTE). After running her own successful travel business, Meredith Hill founded GIFTE in 2011 to guide other travel professionals on the path to success. Then, in 2013, Meredith founded GTN with her business partners, Vanessa McGovern and Jennifer Cochrane. Meredith created the Travel MBA program because she felt that new travel agents were not being trained in both selling travel and running a successful business. Meredith developed the Travel MBA program based on her own experience and the experience of coaching hundreds of travel professionals to success through GIFTE. You will have access to Meredith's expertise during monthly mentoring calls available only to Travel MBA students and a "Nail Your Niche" session, in which Meredith will guide you tap into your brilliance and develop a core, compelling message. Start selling travel as soon as possible. Don't worry if you are brand new. We have you covered! You get access to your very own travel agent mentor. From your very first client, you can appear experience and professional as you tap your travel agent mentor to guide you through the process of booking your first vacation. Your mentor is available to you on an ongoing basis through email. To keep you on track and add a great benefit to your journey, your mentor will host TWO Group Coaching Calls Weekly. Your mentor also hosts a monthly live class focused on topics to help you grow your business. You'll never get stuck in this program with personal, one-on-one guidance from Meredith herself. Got a question on the curriculum? Attend the monthly Q&A call and just raise your hand. Your business should reflect your passion and be founded in your individual brilliance. Meredith is a master at helping travel professionals tap into their brilliance to develop a core, compelling message that speaks to their ideal clients. With personal guidance from Meredith, you will know exactly how to convey your value to the clients who are looking for what you have to offer. Your Travel MBA Program comes with an easy to follow, online module curriculum that you will digest on a weekly basis. Each module is a video you can watch from anywhere in the world as long as you have a computer and internet connection. You have 24/7 access to the curriculum so you can repeat as often as you want. Each module comes with worksheets, helpful links, resources and the slides to reinforce the lessons. By the end of the module curriculum, you will have a clear and comprehensive path to building a successful travel business covering all 5 pillars to success: Sales, Marketing, Operations, Industry/Supplier Knowledge and Mindset. The online curriculum will be supplemented with live virtual classes for optimal learning. Get the ability to book travel and earn commissions from the moment you sign up through your partnership with Gifted Travel Network as your host agency. Every successful travel business needs great partners. With GTN as your host, you will earn top tier commissions, get access to a web-based customer management system, a free marketing and relationship development program, a free research and itinerary building tool, support in collecting your commissions, free Errors & Omissions insurance, the privileges for you and your clients of being part of Virtuoso, and more. Connect with fellow students in the Travel MBA program and other, more experienced, GTN agents in the GTN private Facebook group. Share your success, brainstorm for ideas, ask questions, give others feedback, share resources and get the support you need. We are so convinced you are going to love your Travel MBA Program that we are giving you a money back guarantee. We want you to feel very comfortable making the decision to invest in this opportunity to change your life. If you are not 100% thrilled with what you're learning - just let us know within the first 30 days of the program. Simply contact us and we will refund your investment. * We will refund your payments back to your credit card, less a $249 administrative fee associated with the set up of user licenses for hosting. Are you interested in learning more about the Travel MBA Program or want to see how you can get enrolled? Click here to schedule a call with Sandy Saburn to discuss more information.